How can you tell the difference between complex sentences and compound sentences? That's a question that I recently received in my inbox. I struggled with this concept when I was learning grammar myself, so I wanted to share the answer with you. 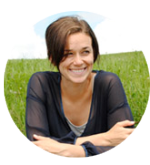 How can I help children correctly divide complex and compound sentences into independent and subordinate clauses? I washed my hands before I ate breakfast. Some students divide this sentence into two parts ("I washed my hands" and "I ate breakfast") and ask me why these two clauses can't be treated as clauses of equal rank. They wonder why the sentence is complex and not compound. Is there a simple way to teach this? 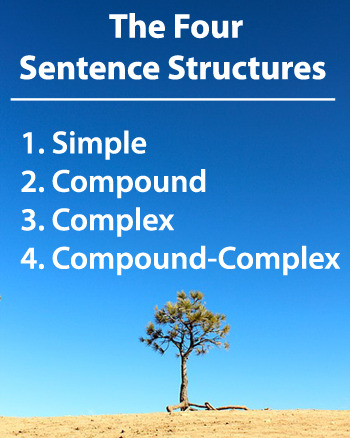 Compound sentences are made from two or more independent clauses. Here's an example. Compound Sentence --> She cooked and he cleaned. Independent Clause --> She cooked. Independent Clause --> He cleaned. The independent clauses are connected by a coordinating conjunction. All of the clauses in a compound sentence are equally important, and the coordinating conjunction does nothing to change the rank of the clauses. The clauses express related thoughts, and neither clause is more important structurally. When we diagram compound sentences, we can really see the relationship between the clauses. We can see that the clauses have equal structural importance. Check it out. These are formed from one independent clause and at least one subordinate clause. This means that the clauses in a complex sentence are not structurally equal. The clauses express related thoughts, but one clause acts as the foundation of the sentence. Here's an example. Complex Sentence --> My mom smiled when I made dinner. Independent Clause --> My mom smiled. Subordinating conjunctions connect certain types of subordinate clauses to independent clauses, and they actually subordinate - or demote - the clause that they are introducing. The function of the subordinating conjunction is to connect the clauses and indicate a dependent (complex) relationship between them. As you'll see below, the dependent clause actually modifies part of the independent clause. Look at the subordinate clause when I made dinner. If we take away the subordinating conjunction when, it becomes the independent clause I made dinner. It might help to think of these conjunctions as "subordinators." Not only do they connect clauses, but they also subordinate the one that they are introducing! 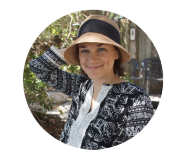 There are many, many subordinating conjunctions, so memorizing them would be a giant task. Here are a few examples for you: after, because, if, since, when, while. Diagramming complex sentences helps us to understand the function of subordinating conjunctions. Diagrams make it easy to see that one clause is more important than the other. You can see that the whole dependent clause is functioning as an adverb modifying smiled. You can see that the subordinating conjunction is connected to the subordinate clause. It is connecting the clauses, and it is subordinating the dependent clause. Read more about complex sentences here. Read more about subordinating conjunctions here. Blah blah blah CONNECTING WORD blah blah blah. Students are able to pick out the clauses (elegantly represented by blah blah blah in the example above), but they have trouble figuring out whether the sentence is compound or complex. They don't know enough about the word doing the connecting. That word is the key to the difference between compound and complex sentences. I left out the last sentence of Udaya's question because she gave away the answer. Here it is. Should I tell my students that a sentence's structure can be determined based on the type of conjunction it has? Yes, that is exactly what you should tell them. If two clauses are connected with a coordinating conjunction, it's a compound sentence. If two clauses are connected with a subordinating conjunction, it's a complex sentence. Tip: If you just memorize the seven coordinating conjunctions, you will easily know whether the conjunction is coordinating or subordinating. It's less work than trying to memorize the subordinating conjunctions as well. You might like these related lessons. Learn the four sentence structures. 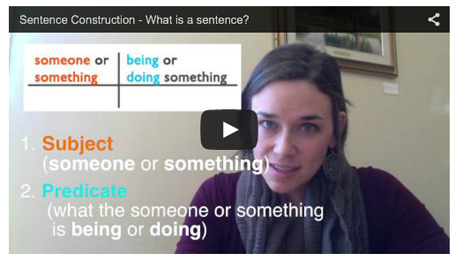 Learn about sentence construction. What exactly is a sentence? 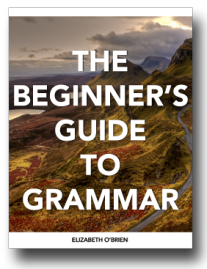 Learn grammar and diagramming with easy video grammar lessons. I gave my regular ESL class yesterday, and I knew how to answer a question about dependent clauses and another about participles being used as adjectives. This was in my more advanced class. Hurray! I hope that you found this lesson helpful. Thanks for being here!